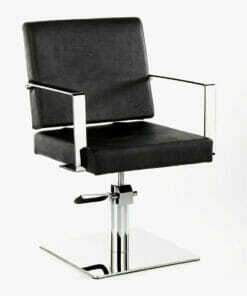 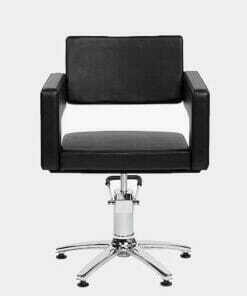 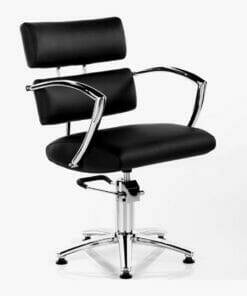 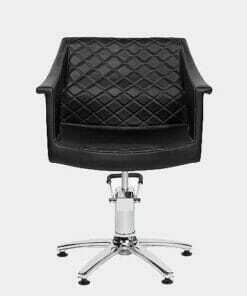 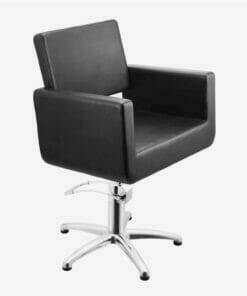 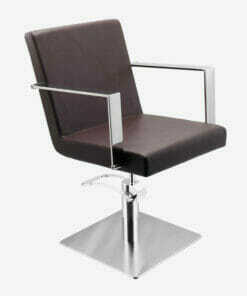 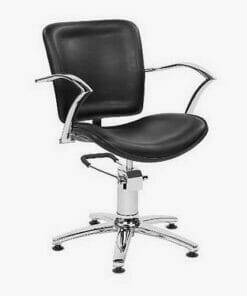 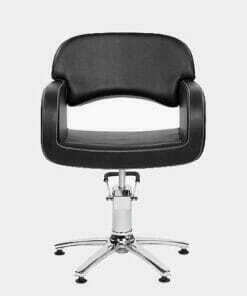 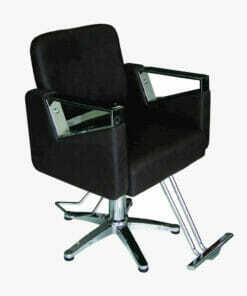 Stylish, simple and modern salon chair with square design. 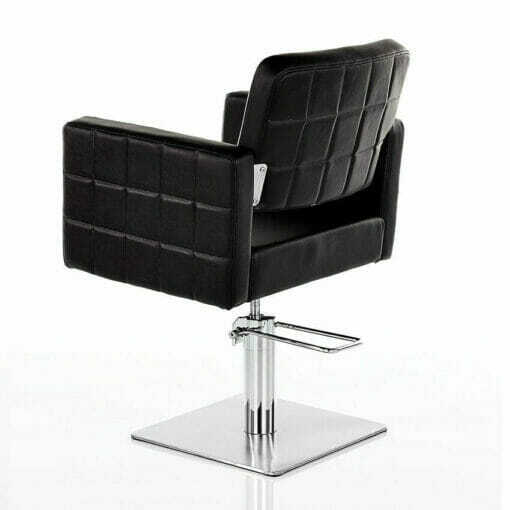 The Miami Hydraulic Styling Chair features square design on the sides and back of the seat. 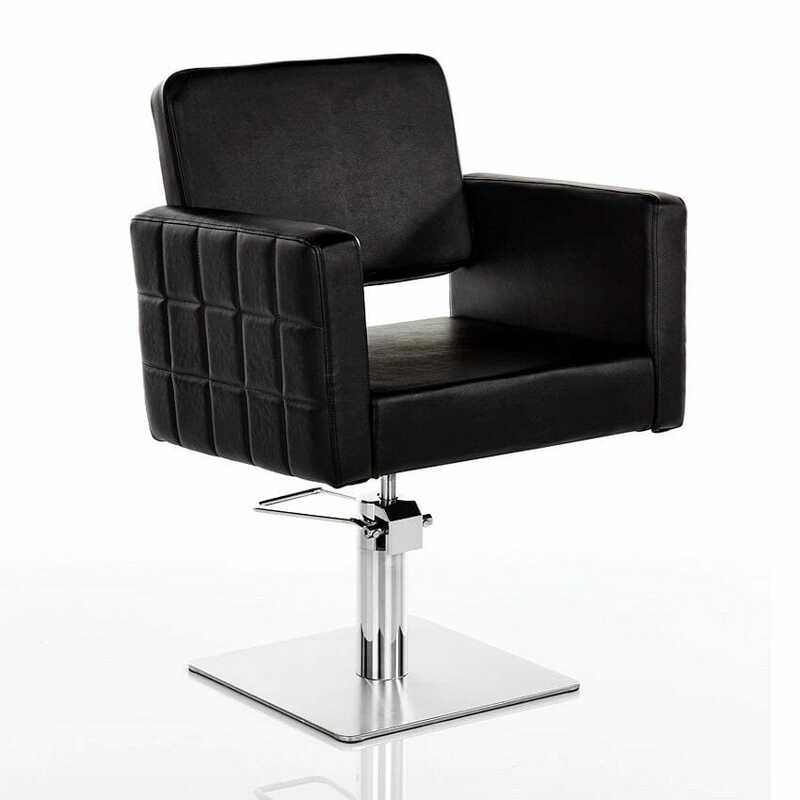 The square base comes complete with a locking hydraulic pump. 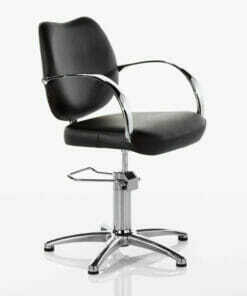 This allows for an easy height adjustment using the foot lever and also prevents the chair rotating while in use. 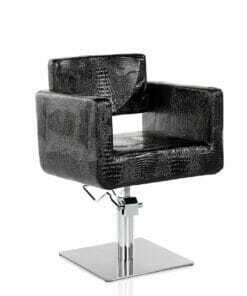 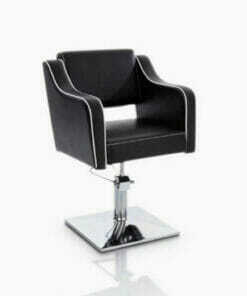 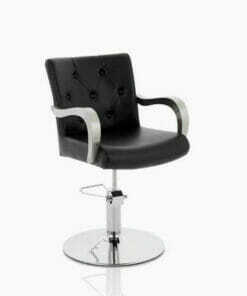 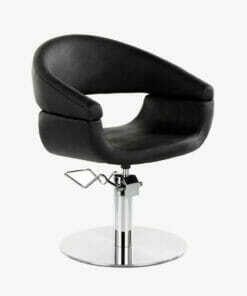 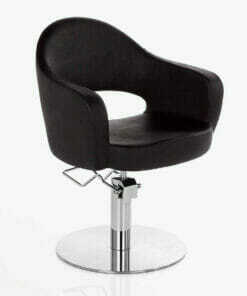 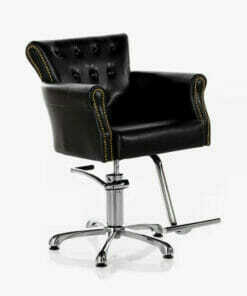 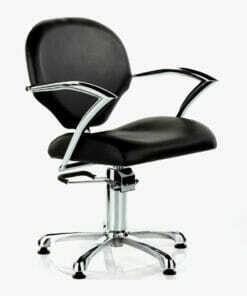 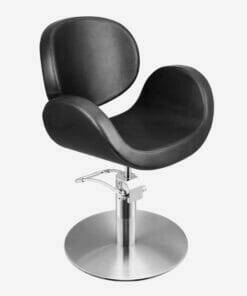 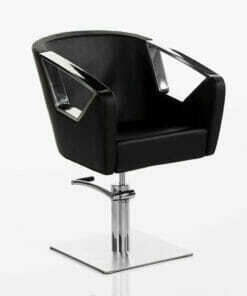 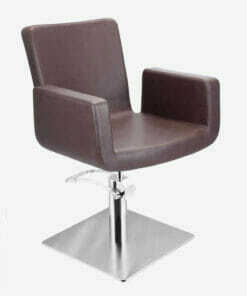 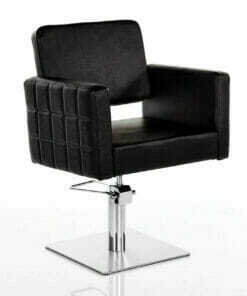 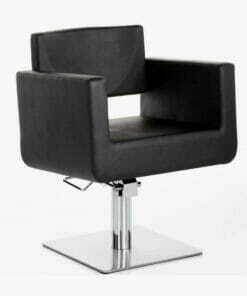 The seat is upholstered in black hard wearing fabric, making it ideal for any professional hair salon or barbers shop. 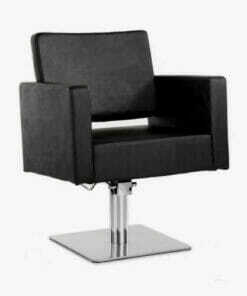 Dimensions heigh 85cm – 100cm, width 68cm, depth 59cm, seat height 47cm – 62cm.